Nigerians have for months been protesting police brutality, especially those suffered at the hands of the Special Anti-Robbery Squad (SARS). Videos and stories are often shared on social media of police officers assaulting, extorting, and sometimes killing citizens. To stem police brutality in Lagos State, a new head, CSP Gana has been appointed for the Lagos State Anti-Robbery Squad. As part of the moves by the force to ensure professionalism and accountability on the path of SARS Operatives, officers with good antecedents and capability are to man the affairs of SARS. 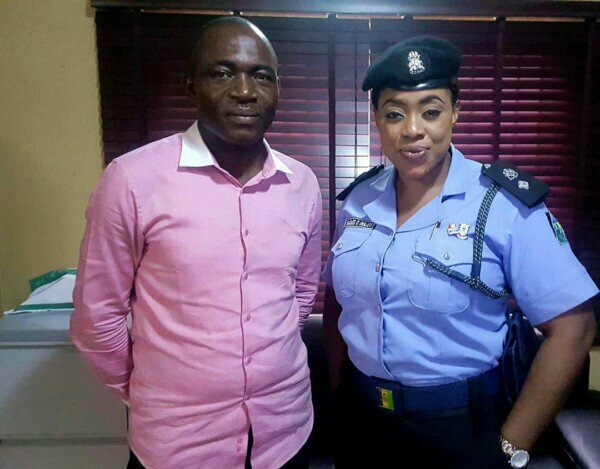 This necessitated the posting of CSP GANA a breed like Abba Kyari to take over Lagos Special Anti-Robbery Squad….A meeting with him left me in no doubt that under the directives of pragmatic AIG Adamu Ibrahim of Zone 2 and Proactive CP Imohimi Edgar we will surely have a respite from complaint against SARS within the zone. Welcome on board officer GANA, I wish you best of luck as you settle down to work. 0 Response to "Lagos SARS Now Has A New Boss"